Valid on buying medicines worth Rs.599. Valid at all Apollo Pharmacies. Click here to view the Pharmacy near you. 1. The customer will get Free Apollo Life 250 Gms Honey on buying medicines worth Rs.599. Also, the customer will get up to Rs.1000 cashback. 2. Valid at all Apollo Pharmacies. Click here to view the Pharmacy near you. 4. For availing the offer, the customer needs to ask the cashier to enter the Billing Code. (a) On the 1st & 2nd transaction, the customer will get up to Rs.50 cashback each. (b) On the 3rd transaction, the customer will get up to Rs.50 cashback with a movie promo code worth Rs.150. Click here to know more. (c) On the 4th transaction, the customer will get up to Rs.50 cashback and a Paytm Mall promo code worth Rs.250. Click here to know more. (d) On the 5th transaction, the customer will get up to Rs.50 cashback and a Paytm Flights promo code worth Rs.555. Click here to know more. 6. The voucher is only applicable for Paytm customers. 8. The voucher is only applicable at retail Apollo pharmacy stores and not on Hospital-Based pharmacies. 9. Apollo shall not entertain any return request for medicines purchased under this offer. 10. 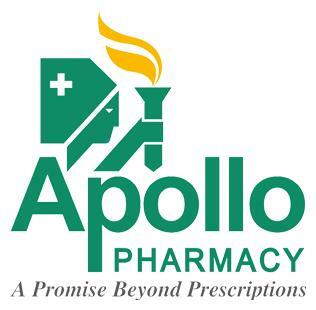 The voucher cannot be clubbed with any other offer(s) / scheme(s) at Apollo Pharmacy. 11. The transaction needs to be through Paytm wallet for availing this offer. 12. Paytm solely reserves the right to change/modify or stop the campaign without giving any prior notice. 13. In case of any disputes, the customer needs to get in touch with the merchant/brand. 14. According to RBI's new guideline, users who have not undergone Paytm KYC will not receive cashback in their wallets. Visit the Apollo Pharmacy to redeem the offer.